The holidays are officially upon us which means inviting shops, holiday home tours, and snow-dusted sidewalks. This is the perfect time to browse our quaint shops, grab a bite to eat and enjoy the view of DeKalb County's Historic Downtown Auburn! Don't forget to check out all the shops in DeKalb County when planning your holiday shopping! 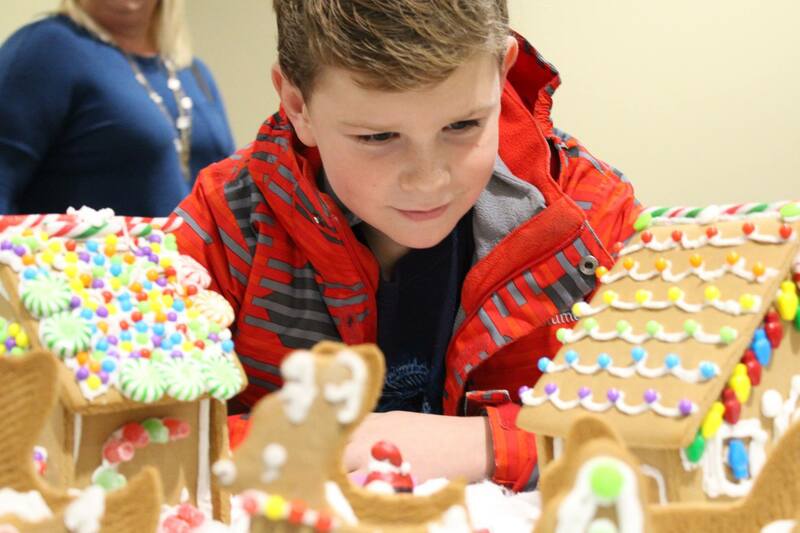 Below is a guide for all holiday activities in DeKalb County! Saturday, November 17th, 10:00 a.m. -7:00 p.m.
Sunday, November 18th, 12:00 p.m.-3:00 p.m.
Saturday, November 24th, 10:00 a.m.-4:00 p.m.
is the Season to be Jolly! Kick off the celebration season with this special Christmas Tree Display organized by The James Foundation to benefit DeKalb County Promise. Various community organizations and community members will be decorating Christmas Trees for you to view. There will be a free will donation available. All funds from the sale of the trees and the free will donation will be donated to the DeKalb County Promise fund! 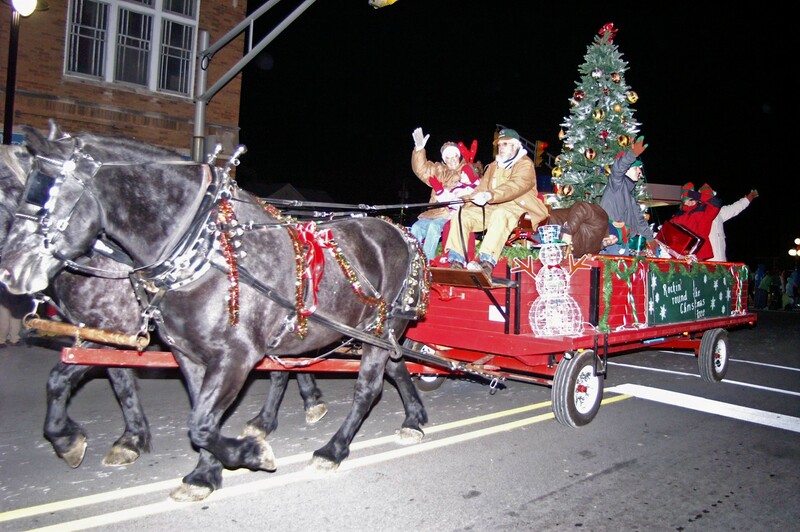 Saturday, November 17th, 5:00 p.m.
Ring in the season with Garrett's Christmas Fest and the Dekalb Horseman's Association Parade of Lights. 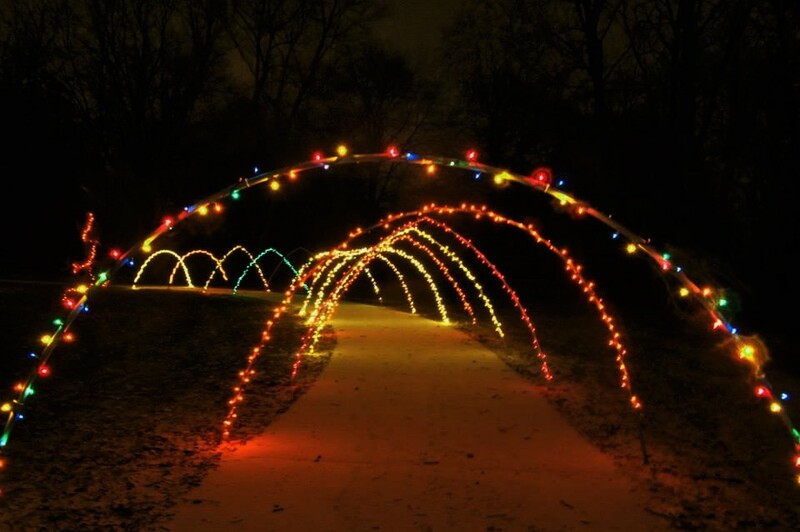 Bring the family down for fun activities including the light parade which begins at 5:30 p.m.
Saturday, November 17th, 10:00 a.m.-8:00 p.m.
Have you started your holiday shopping yet? Well now is the time to start! Tuesday, November 20th, 7:00 p.m. Usher in the holiday season with the Annual Christmas Parade and the Lighting of Frosty the Snowman. The parade begins at the DeKalb County Fairgrounds and proceeds to Courthouse Park on the corner of 7th and Cedars Streets in the downtown. Don't miss the best part, the lighting of Frosty! Grab a cup of hot chocolate and enjoy the fellowship before heading home. Sponsored by the Downtown Auburn Business Association. Saturday, November, 24th 9:00 a.m. – 3:00 p.m. The Craft & Vendor show will begin in the morning and continue all day, along with the Festival of Trees! These Christmas Trees will be placed throughout the building, and have been sponsored and decorated by DeKalb County area businesses! Festival attendees will have the opportunity to vote for their favorite one! Saturday, November 24th, 6:00 p.m. The Canadian Pacific Holiday Train is expected to come through Waterloo on its 20th annual trip to Chicago. The date and time is TBD but we are guessing it will be Thursday night, November 29, sometime after 10 p.m (it usually goes by around midnight). 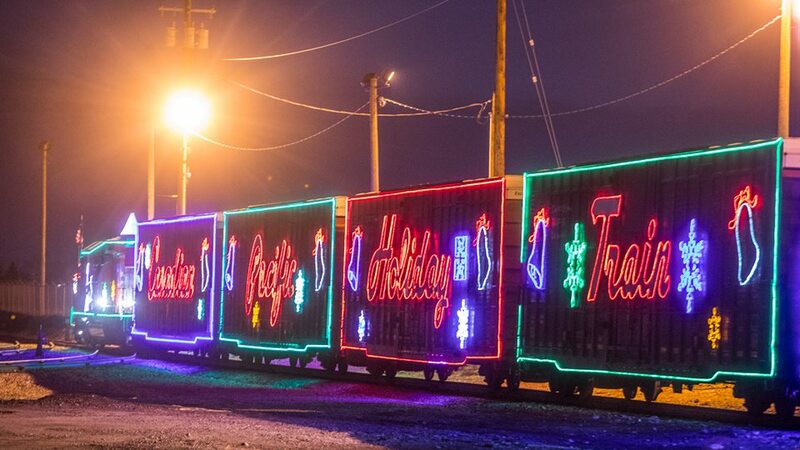 We had so much fun last year, this will be our second event for the beautifully lit train. It's free, just bring canned fruit or vegetables with pull-tab lids for a food pantry donation and enjoy vendors with hot chocolate and food, games and good company while we wait in the Depot for the train. We also plan to have entertainment and an artist market for early holiday shopping with local artists and crafters. The Canadian Pacific Holiday Train is scheduled to come through Butler on it's way to Chicago. Join us for food, hot chocolate, and games. We will also be showing the movie Polar Express as we wait. Bring the whole family to this FREE event as we watch for the Holiday Train. Check for updates on the City's Facebook page. 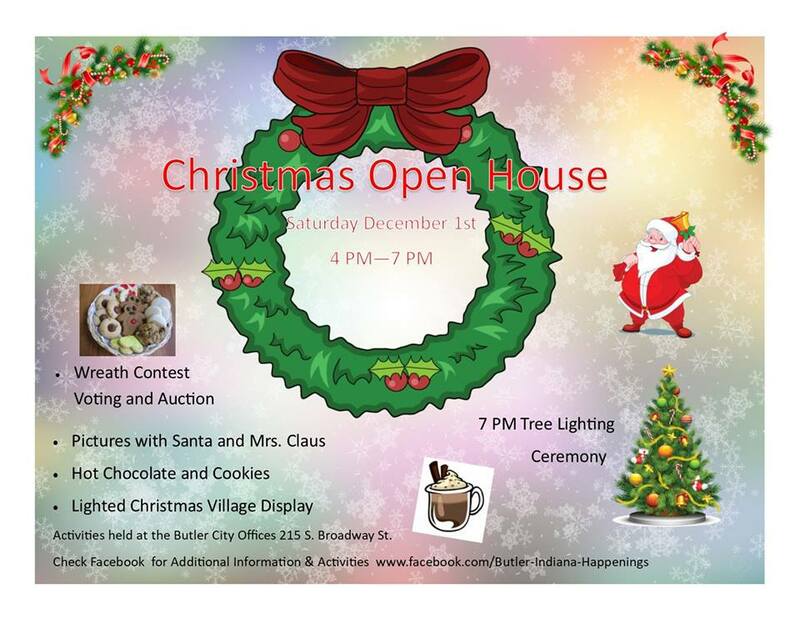 Festivities will be held at the new City garages, 110 Depot St.
Saturday, December 1st, 4:00 p.m.- 7 p.m.
Come to Downtown Butler, Indiana and check out all the festivities at the Butler City Offices. Tree Lighting Ceremony at 7:00 p.m.
Children ages 4-12 can come and Christmas shop for everyone on their list! There will be crafts, concessions, carnival games, Santa and more! The Heimach Center's Annual Christmas Holiday Bazaar! Saturday, December 1st, 8:00 a.m.-2:00 p.m.
Lots of fun things will be happening! Vendors will be selling their wares just in time for Christmas gifting! Purchase your favorite treat from a baked goods sale and enjoy a delicious lunch provided by Heimach Ways & Means Committee (a fundraising meal). So come out and visit ~shop, eat, and enjoy great music by the Auburn Community Band...participate in our 50/50 drawing and increase your Christmas shopping bankroll!! Proceeds from this event help to provide services for seniors, disabled and many others in our community. Sponsored by the DeKalb County Council on Aging, Inc.
Searching a special and unique gift? Come to the much anticipated Annual Holiday poP Up Gallery at The Art Farm, hosting 12 regional and local artists! Find the perfect gift and support the arts in the process! Saturday, December 1st at 8:00 a.m. to 5:00 p.m.
Holiday bazaar and other holiday activities for the whole family. Santa will be there for pictures too! 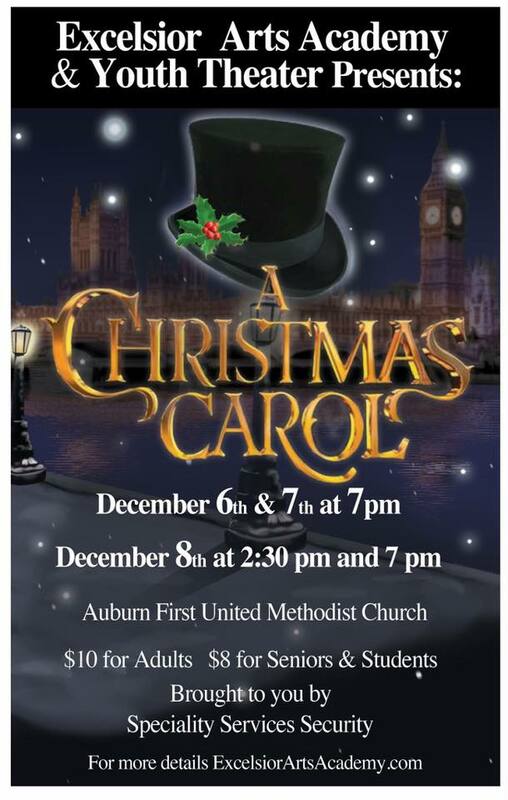 Thursday, December 6th & Friday, December 7th at 7:00 p.m.
Saturday, December 8th at 2:30 p.m. & 7:00 p.m. Experience a story of a family, a special hotel and the love that's shared at Christmas time even in a financial crisis. Friday, December 7th, 5:00 p.m. - 8:00 p.m.
Saturday, December 8th, 5:30 p.m. - 8:30 p.m. The entire community is invited to experience the true meaning of the Christmas season in this LIVE Nativity Scene portraying the sacred story of the birth of Jesus Christ. This annual drive-thru nativity is a wonderful Christ-centered experience that the entire family can enjoy. Donations accepted to benefit St. Martin's Healthcare. 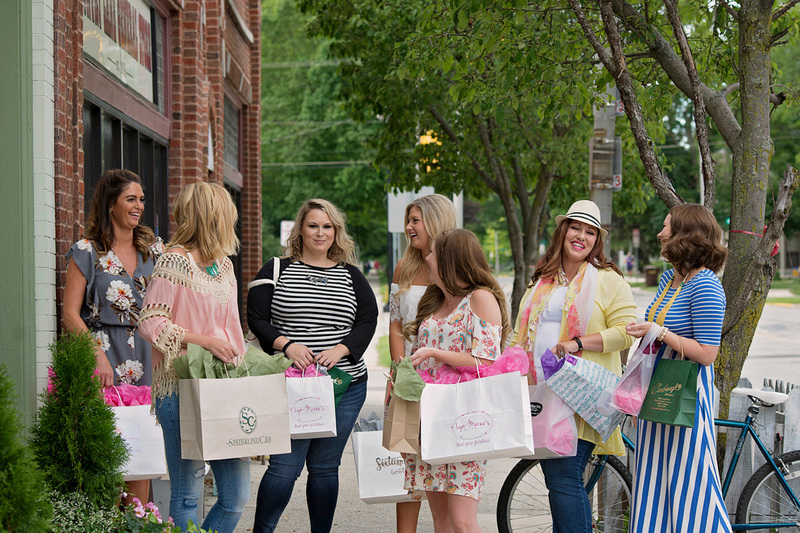 Sunday, December 9th, 1:00 p.m. – 4:00 p.m.
Thursday, December 14th from 5:00-8:00 p.m.
Join us and stroll through Downtown Auburn for an evening of Shopping, Sipping and Tasting all of Auburn's favorite hot spots. Each participating business will be having their own special things happening throughout the evening. It's a perfect time to shop local get your holiday shopping finished!